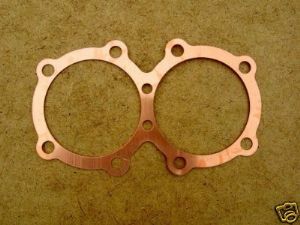 This is a new copper cylinder head gasket to fit the unit 750 Triumph twins ie T140, TR7, 1973-77. We also supply the later composite gasket as well , please check our other listings. Original part number was 71-3681.